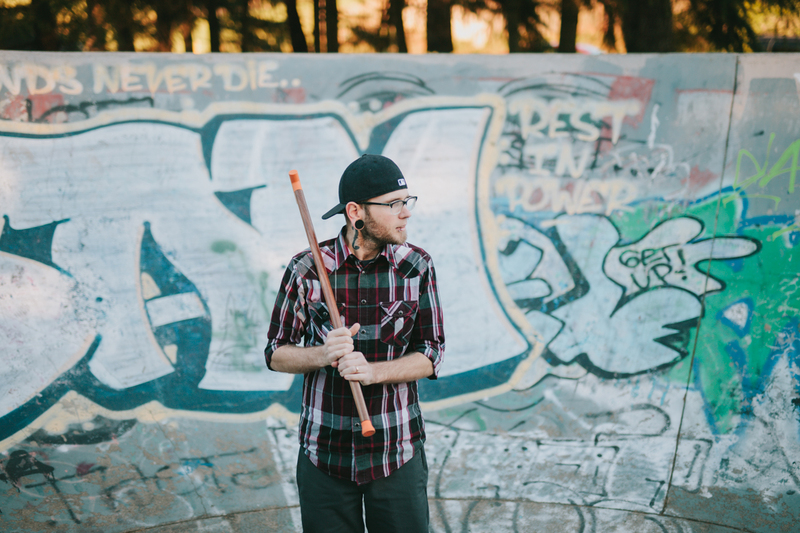 I have been using the same $15 cane I bought 4 years ago when my MS first started slowing me down. I wanted to make it fit my style so I plastered it with stickers. The grip is completely gone and the tip has no traction. As terrible as this cane is, it has helped me a lot over the years but now it’s time for an upgrade. The search for a new cane is frustrating. Everything seems to be designed solely for function. I thought it was weird there’s not much out there designed for a 30 year old dude with tattoos and piercings. 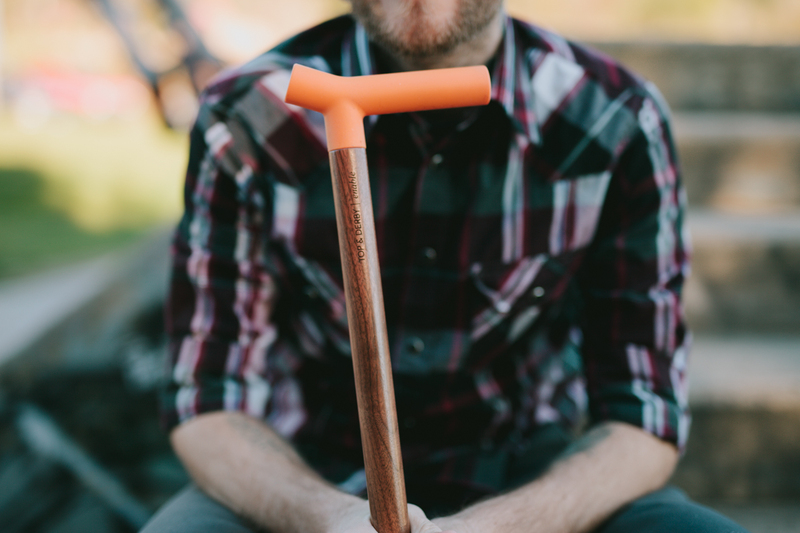 The search led me to a group of rad dudes who built the Chatfield cane. Reading through the features it was clear this was the cane I was looking for. The shaft is solid Walnut and the tip, or “shoe” as they call it, is inspired by a skate shoe. Yup, you read that right, skate shoe inspired. I think I found my Excaliber. The grip on my old, cheaply assembled Walmart cane completely peeled off years ago, leaving an uncomfortable plastic handle. Getting around with a wobbly, unstable cane is a task in itself. The Chatfield from Top and Derby blows the shoddy aluminum tube of a cane out of the water. The handle on the Chatfield just feels right. The girth (heh, girth) of the handle fits my hand perfectly. And I don’t talk about girth in my hand very often. The grip and stability of the shoe inspired tip has been noticeably helpful. Top and Derby have integrity. They care about the people that they are helping, they are hip and stylish, and they’re using their platform to spread awareness about things that really matter. 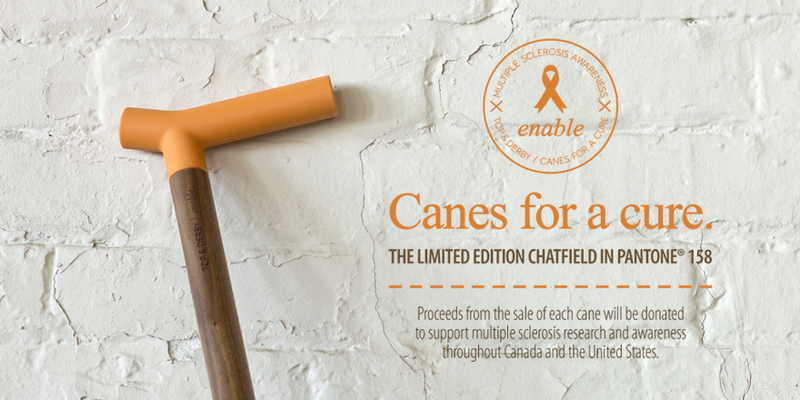 Their Enable Initiative proves their dedication; with March being MS awareness month they created 200 limited edition Chatfield canes decked out with Pantone (158) orange handles and shoes and custom laser engraving. For every one of the 200 made, they are donating the proceeds directly to the MS Societies of Canada and the US. I’m honored they sent me one of these beauties. In my teens I spent my time skating and riding BMX through skate parks just like this one. 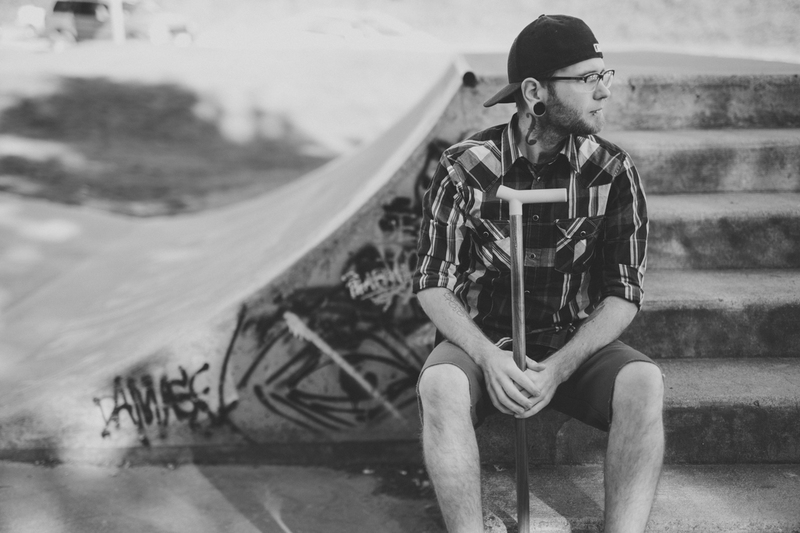 I’m the same rad dude; just because I can’t shred the half-pipe doesn’t mean I’m not shredding gnar through life. And after 4 years with a $15 cane I realize that it’s more than an assistive device; it’s the face of my MS. The Chatfield is a cane I’m proud to have people stare at. Go ahead, ask me about my cane. This ain’t your grandfather’s cane. 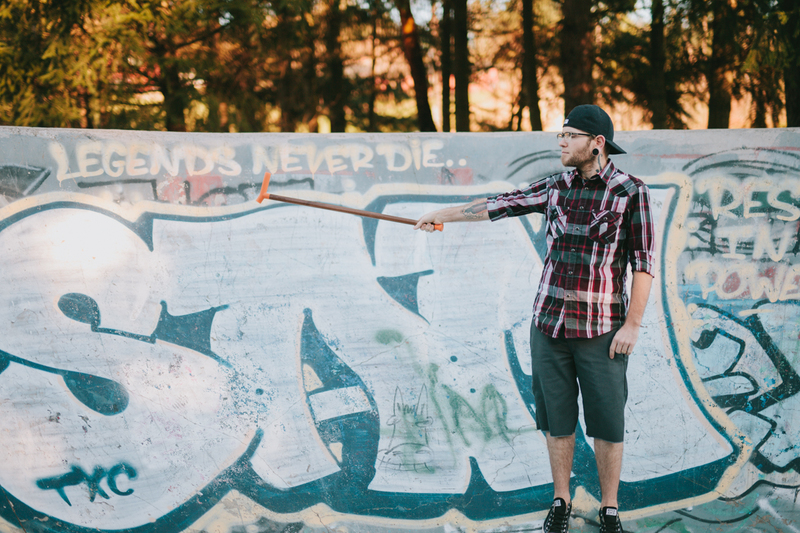 All of these rad photos were taken by Meghann Prouse Indie Photographer. I’ve got PMS also. Best of luck … And yes the cane is cool. Still, I prefer my collapsible cane. When I go out for diner I can fold it up and tuck it under my leg so it’s out of the way. Great photos. Great limited edition cane. Great cause.